Every OCT sold undergoes rigorous cleaning, testing, and calibration to factory specifications by factory trained technicians. Call 855-776-2020 or email sales@visionequipmentinc.com for details. 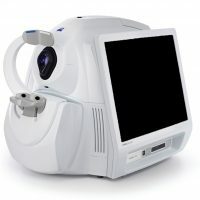 The Refurbished ZEISS CIRRUS 5000 HD-OCT is configured with the highest resolution visualization capabilities and sophisticated clinical applications such as, Advanced RPE analysis to track retinal pigment epithelial integrity and Ganglion Cell Analysis to assess glaucomatous loss in the macula that may not be evident in the peripapillary region. 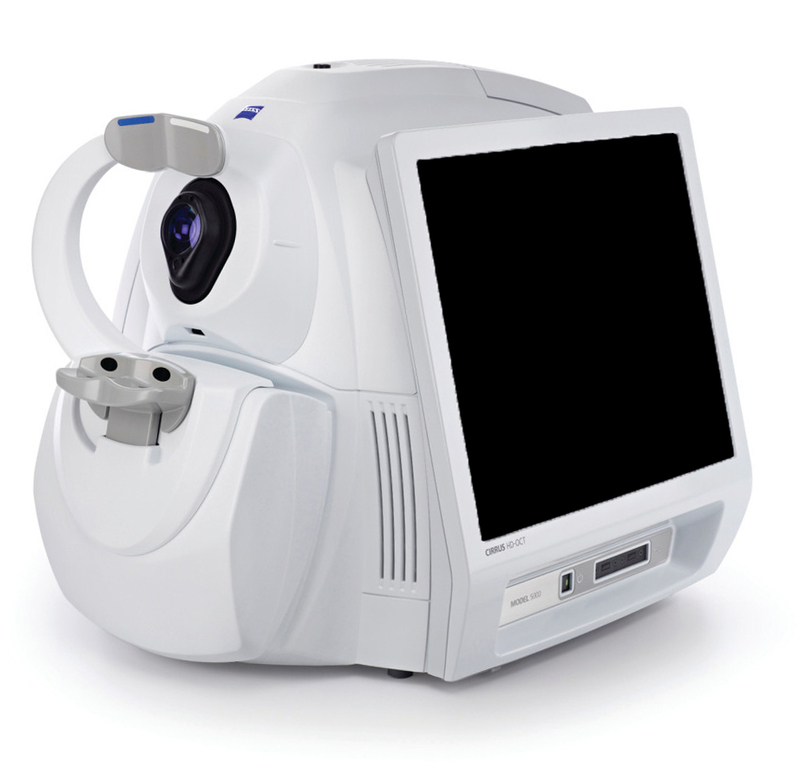 The new FastTrac™ retinal tracking reduces eye motion artifacts without sacrificing patient throughput with a proprietary scan acquisition strategy, high speed 20 Hz LSO camera, and single-pass alignment scanning. This feature enables the highest resolution B-Scans to be captured in identical locations from visit to visit providing precise assessment of change in targeted pathologies. Features Advanced diagnostic tools that improve your ability to identify pathology and track change over time. Dimension (inches) (WxDxH) 18 x 26 x 21 in. Includes Power Table, Printer, Warranty.